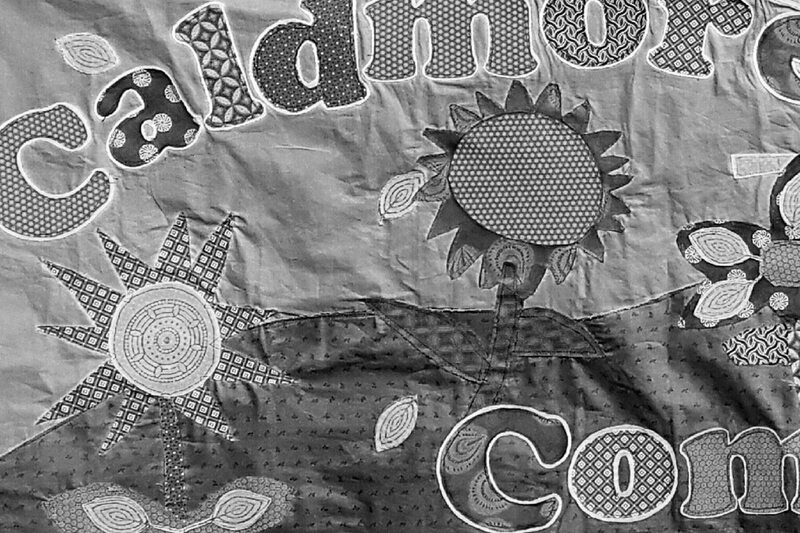 Caldmore Community Garden commissioned Creative Factory to work with their women’s group to produce a vintage style fabric banner that could decorate their cafe and also be used as a Stall banner when they attended or organised events. 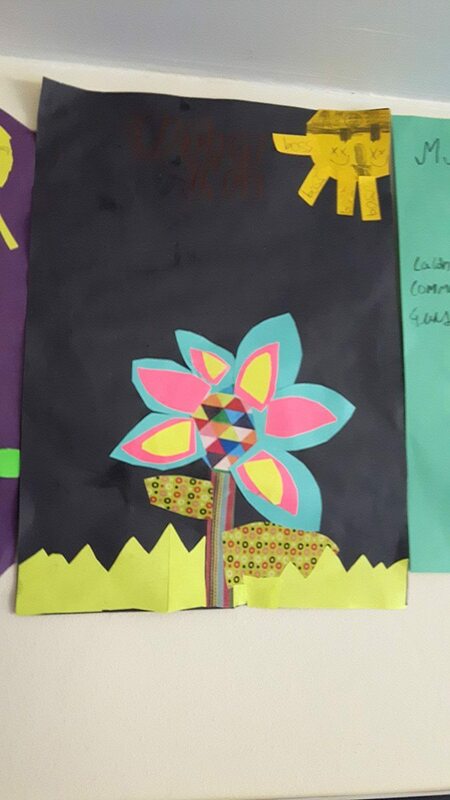 The Community Garden participants come from many cultural backgrounds so the banner needed to reflect this. 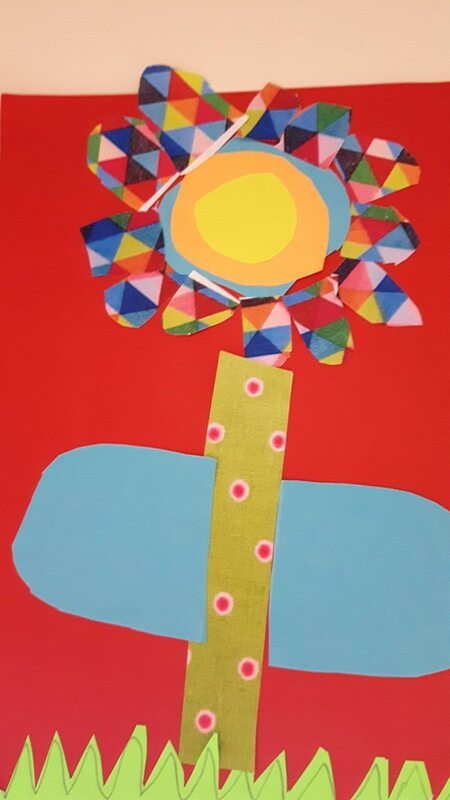 Deb Slade worked with children from Caldmore Primary School to produce some flower designs based on Polish wycinanki paper collage. 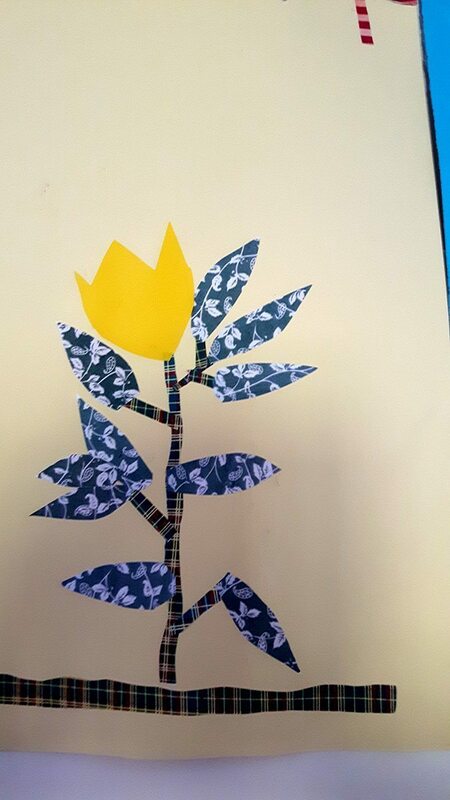 The children looked at the structure of the flowers in the garden and used vintage style fabric prints to make their collages. 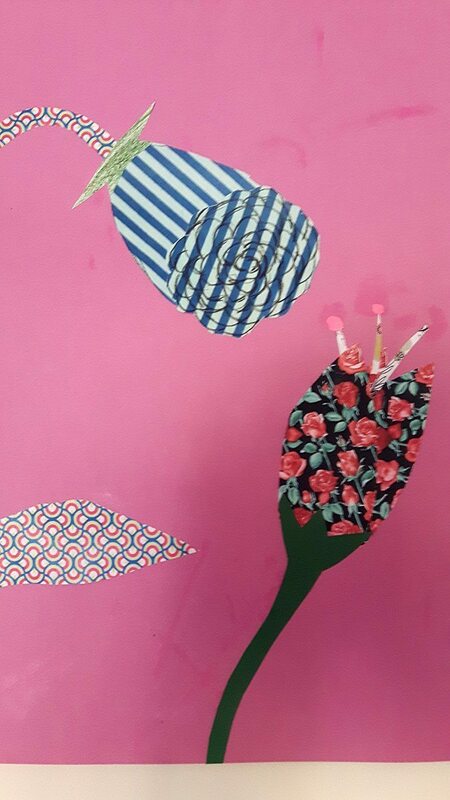 The Women’s group then worked with Deb Slade to chose some of those designs and dissected them to make a pattern to reproduce the designs using South African fabrics, they also used South East Asian wood blocks to use print in the designs. 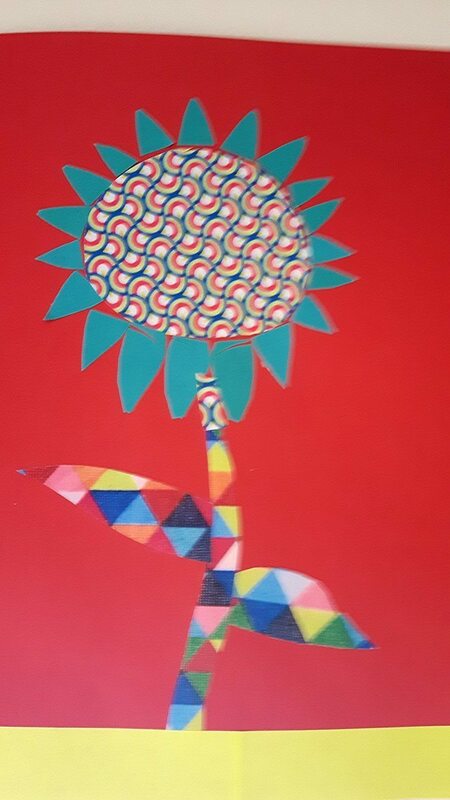 The whole thing was sewn by machine and by hand to produce the banner and co-ordinating bunting for the garden to use for their regular events programme. 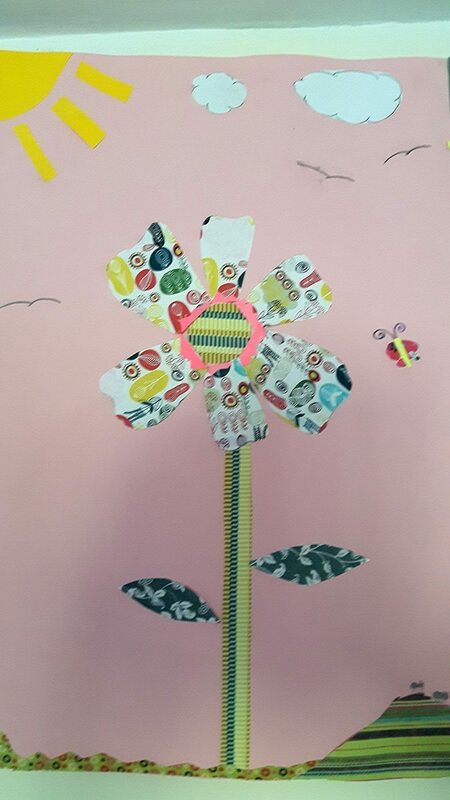 The project was funded by Creative Black Country and Arts Council England, also by Near Neighbours Community Fund.